Volunteering for The Project Tenfold Circle or any other charitable organization makes you realize one thing – as you go out, do your part, and extend a hand, you begin to understand how big and small your help is. It is big because you see the difference it makes. On the other hand, it is small compared to the amount of help that’s still needed. As you help, you see the picture become bigger and bigger. There’s more I can do! This idea will drive you to take all the chances you could in order to do what you can do for others. It was my first time in Bacolod. Given the idea I just told you, I thought of taking the chance to visit at least one organization to learn from and write about. Writing is the only help I know I could do at that time. I did not bring any and just held on to my hope. I spent my first day exploring the city and spent a few hours of it searching for St. Vincent’s Home. With a map in my hand, instructions of the hotel guard in my head, and a prayer not to get lost, I headed to the southern part of the city to look for it. St. Vincent’s Home is an institution that provides shelter, food, and medical assistance to the abandoned elderly of Bacolod. Here’s a short history I got from their Facebook page, which I was told was created by volunteer students for the shelter. The Home’s beginnings can be traced back to 1960 when a temporary shelter was set up by the Association of the the Ladies of Charity (organized by Fr. Jacinto Iroz, CM) to house the crippled, blind and deaf elderlies roaming the streets as mendicants, found and brought to the Home by the members of the Association. Later, the Association began to take in the orphaned or abandoned children and also some marginal families. 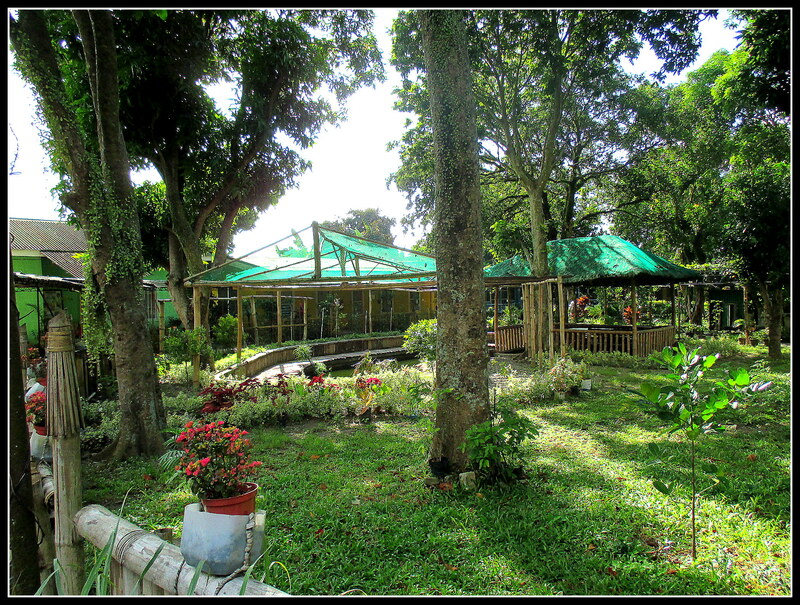 Three years later, through the leadership of Dona Carmen Lizares, a new building was built on the two-hectare lot donated by Dr. Antonio Lizares in Tangub, near the old Bacolod Airport. This was inaugurated on December 8, 1963. Since that time, new cottages and new facilities have been built to house and serve the needs of the increasing number of residents in the Home. On March 16, 1966, the Home was registered with the Securities and Exchange Commission as a non-profit institution. 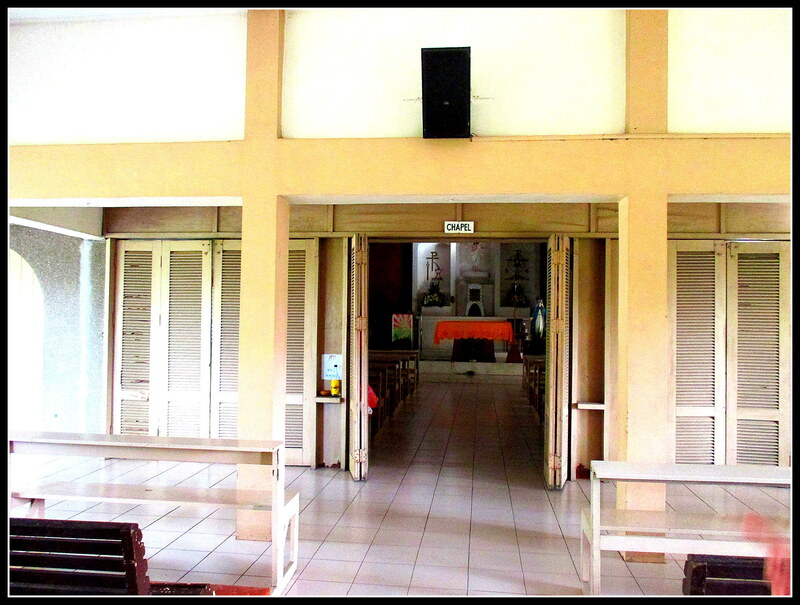 In June 1973, the administration of the Home was turned over to the Daughters of Charity of St. Vincent de Paul. Although the Sisters’ major concerns were the tasks of running the Home and their community life, the charism of their Holy Founders asked that they expand their work to cover the wider community. So, they established an outreach program for the poor families through catechetical instructions; through medical assistance to the sick especially those who cannot be admitted to the village because of contagious diseases and; through emergency assistance to those in a crisis situation. 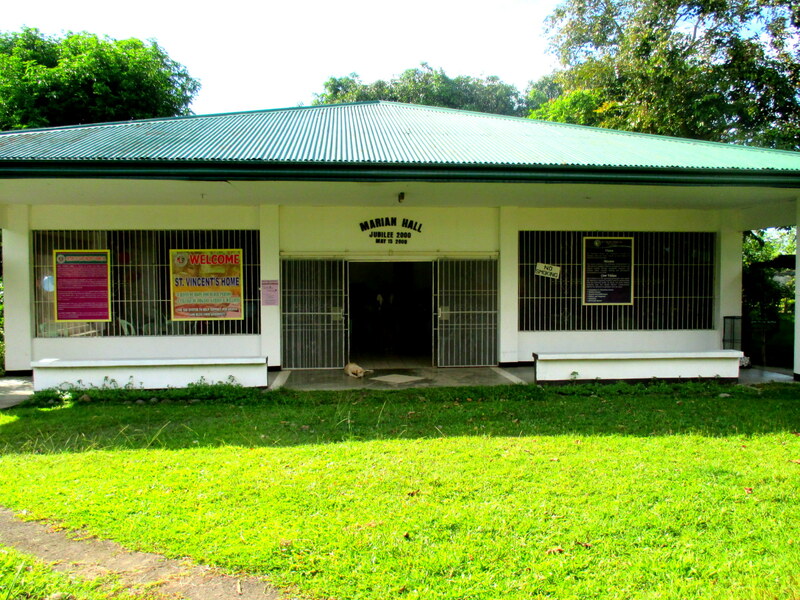 Two years later, on April 14, 1975, the Home was fully accredited as a Home for Older Persons by the Department of Social Welfare and Development (DSWD), the first of its kind in Bacolod City. 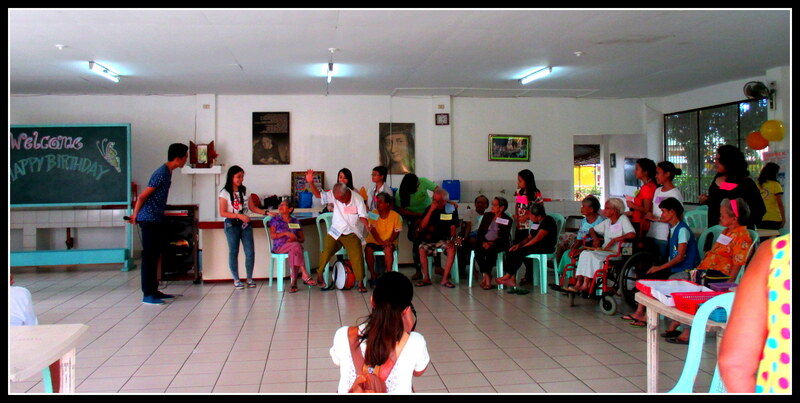 In addition, the Home is also an accredited member-agency of the City and Provincial Development Councils of Bacolod. Today, the Home continues to be administered by the Daughters of Charity of St. Vincent de Paul and continues to maintain very strong ties with the Ladies of Charity who provide invaluable financial and moral support to the Home. I was blessed to have met and been guided on a short tour by Sr. Rebecca Felizado DC, Administrator of the Home. She was actually preparing for an important meeting about a fund-raising concert they were about to do. She was kind enough to have spared me a few minutes for a short interview but a bit shy for a photo op. According to her, the Home currently houses 30 residents. The number is a combination of abandoned elderly that were endorsed by DSWD, or referred by the government, or just abandoned by families. They have 18 staff members. Since the Home survives only through donations, they have also learned to come up with projects for sustainability. They have a mini-bazaar where you can buy different things including the produce from their small organic farm inside the Home. I raised the question on how they can be best helped. Of course, just like any non-profit organizations that survives through donations, cash is still the best way to help because it gives the organization the flexibility on its allocation. It goes to where it is needed the most. But one thing that Sr. Rebecca stressed was how the Home plays importance on being able to personally meet the sponsor. Yes, the money helps but they value their relationship with the donor more than the donation. If you wish to financially support them, I suggest that you pay them a visit first and really understand their system so you know where your money goes. It is beneficial for both the giver and the receiver. Other ways we can help them would be buying from their mini-bazaar, supporting and buying the daily produce from their farm. You can also donate products that are consumed daily by the residents, therefore runs out fast, like milk, chocolate drink, canned goods, medical supplies, etc. If you don’t have the cash and supplies and you still want to help, you may give your precious time. Look at these students who conducted a program for them when I visited. It gave me a flashback of how my friends and I did something of the same nature when I was a student. It’s a really fulfilling experience. Look! Looks like Lolo is having a lot of fun! If you are from Bacolod or will visit Bacolod soon, please help this Home by giving any of the above-mentioned resources. Kindly contact them prior to your visit (  432-00-11). If you are from Manila, The Project Tenfold Circle will soon be organizing something for the Home, kindly reach out to us via the online form below. 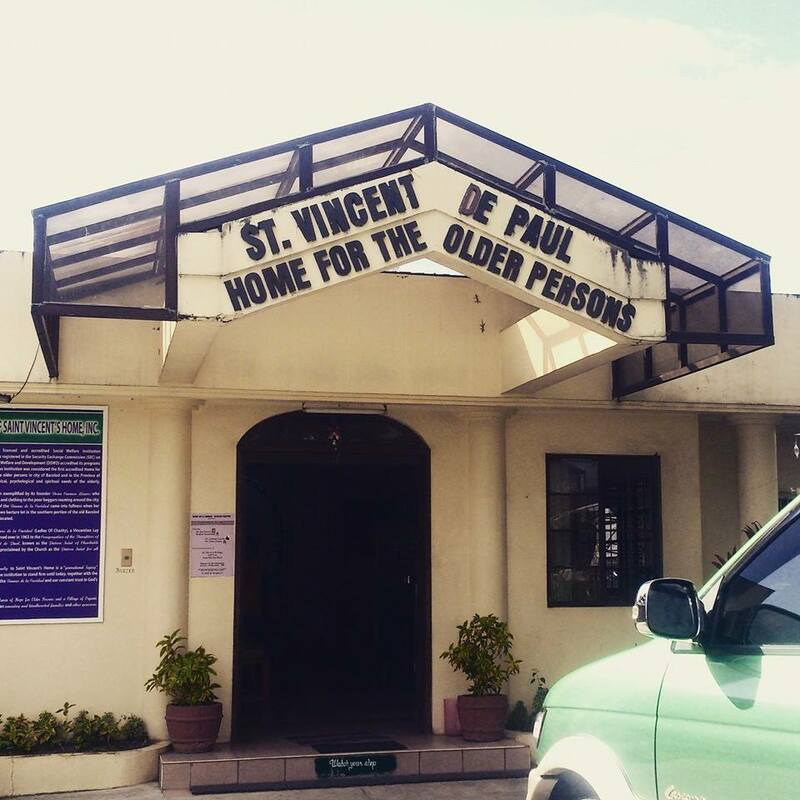 St. Vincent’s Home is located in Tangub, Bacolod City. From Lacson St. you may get on a jeepney going to the Central Market. 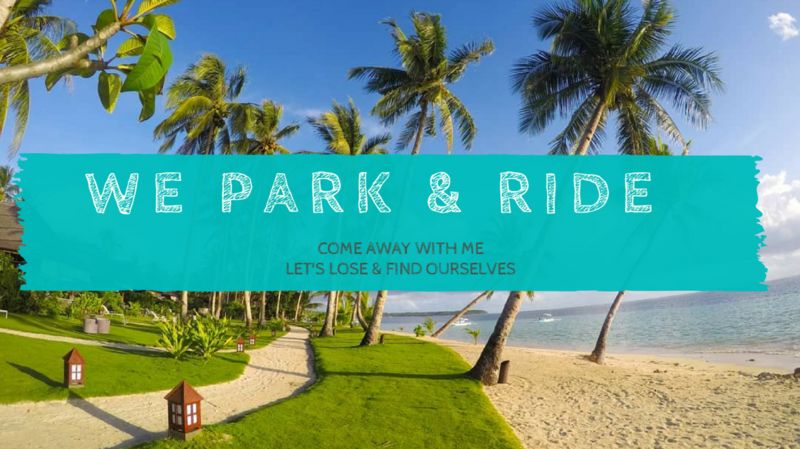 Get off the Cathedral and get on a jeepney going to Punta Taytay and tell the driver to drop you off Transcom. The Home cannot be found along the main road, you will have to walk a few minutes to get there. You can always ask around. People from Bacolod are very accommodating.